The Nigerian Shippers’ Council (NSC) on Wednesday urged the media to support its drive in instituting a new port order as the port economic regulator. The Deputy Director, Public Relations Department of NSC, Mr Ignatius Nweke, made the plea in a message to the 2015 Annual Seminar for Maritime Journalists held in Lagos. 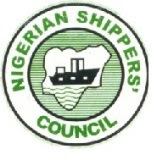 Nweke, who was represented by a Principal Public Relations Officer of the NSC, Ms Rebecca Adamu, said the council was convinced that with media support, the ports would be sanitised. He urged the media to partner with the Federal Government in moving the maritime industry forward. Nweke said maritime journalists should collaborate with the NSC as the economic regulator to drive the new port order. He said such regular seminar for journalists would create a platform where both journalists and stakeholders would be on the same page in championing the cause of the industry. Nweke also urged maritime journalists to write developmental stories that would be beneficial to operators the industry. “What is expected is that a reporter covering the maritime beat should devote his or her time in writing developmental and objective stories to the advantage of the sector, ‘’ he said. The News Agency of Nigeria (NAN) reports that the seminar was organised by First Mediacom Network Ltd., publishers of Shipping Position Live and supported by the NSC.